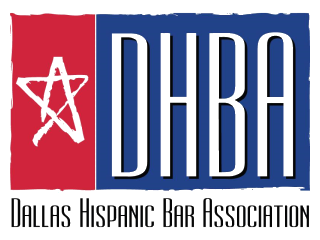 The Dallas Hispanic Bar Association, formerly known as the Mexican American Bar Association of Dallas, provides a forum through which Hispanic attorneys in the Dallas-Fort Worth Metroplex can come together to exchange ideas and to pursue common goals. 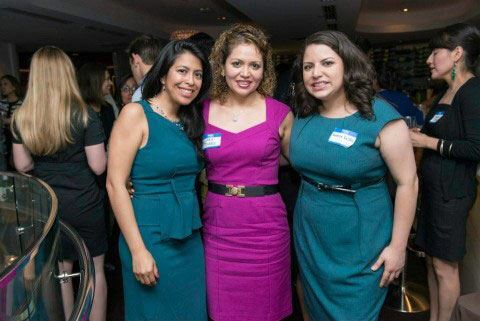 The purpose of the Association is to promote the social, economic, educational, and civic advancement of the DFW Metroplex Hispanic community by making the legal system more accessible to the Hispanic community and more responsive to its needs. With an eye on our purpose of promoting the social, economic, educational, and civic advancement of the DFW Metroplex Hispanic community, the DHBA represents and advocates the interests of DFW Hispanic attorneys and their communities; fosters fellowship between the members of the DHBA and other members of the legal profession; encourages and promotes professional growth and good standing; develops and encourages cooperation with other organizations of minority attorneys; and plans community outreach events that provide legal assistance to the Hispanic community. The DHBA welcomes all attorneys to join the DHBA and encourages the active involvement of all of its members. Please visit the calendar of events for more information about DHBA member meetings, socials, and other opportunities to get involved in the DHBA. 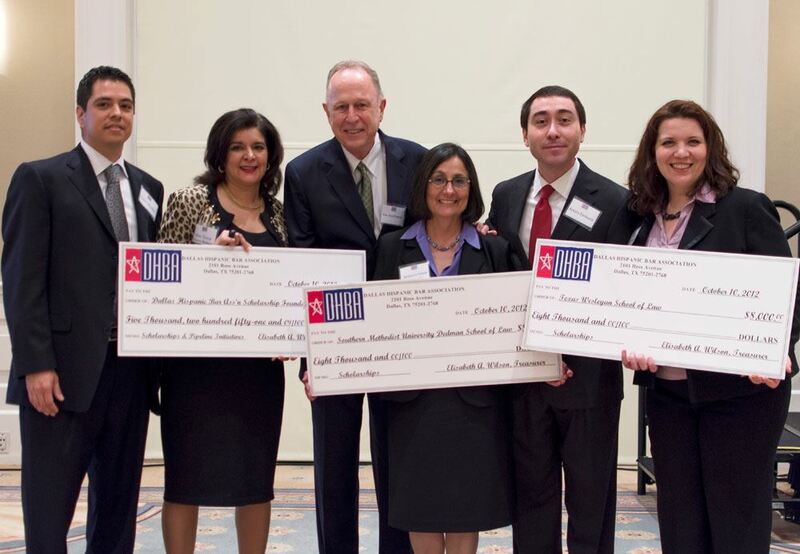 The DHBA donates scholarship funds to law students at the three law schools in the DFW Metroplex.